One of the things that always keeps me coming back to the Guppy keeping hobby is the satisfaction that I get from the cross breeding of these feisty fishes. I have never intended nor did I actually expect the results of some of my crosses. I just know that by crossing different unrelated strains of fishes, you might just get lucky and see for yourself, way before others a new type of colour combination in guppies. 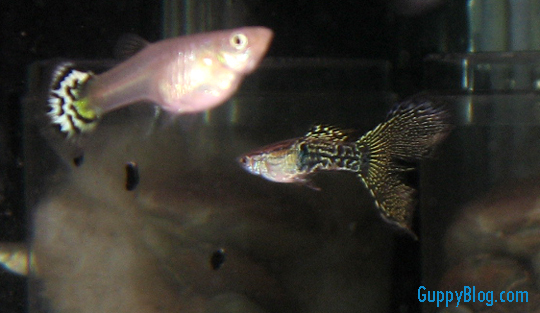 I think I got lucky this time around and a Guppy cross that I made recently inadvertently gave birth to a type of guppies that I called the Black Lace guppies, a type of colour combination that I would never have dreamt of myself. As such, when the fries of the cross started to grow into adult size, I was filled with immense excitement as the colour combination was simply unique. The exact cross that I made was between the Moscow Black and a snakeskin variety that had dark purple and black as its base colour. The snakeskins themselves are of a unique variety to me and it is quite a distinct strain because I got the strain from a fish farm located at the Pasir Ris Farmway here in Singapore. Usually, these fishes are sold at the farm as normal aquarium types and the farmer from talking to him don’t really think that these fishes are that special. To me, these snakeskins are special and I have even coined a name for them, the Shadow Lace guppies. I will reserve another post just for them and I think you will like these fishes too. Regarding the Moscow blacks, I got them from a shop that happens to have a son who is a guppy breeder and whom has won some Aquarama competitions as evident from the multiple trophies decorating the shop front. I have never met the breeder and the attendant at the shop wasn’t that friendly which prevented me from making any enquiries on the breeder lest they decide that I might be a prime competitor to the Guppy throne in Aquarama and not allow me to buy their guppies. 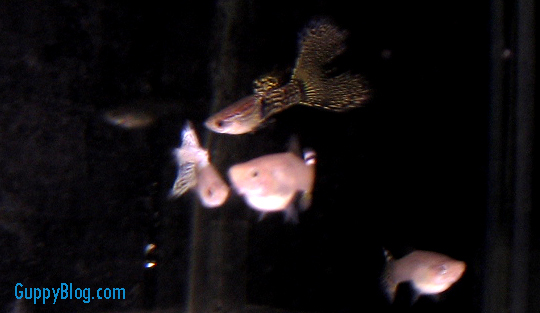 :p Nevertheless, the guppies were good and was of a quality that would have allowed for more breeding developments. In most accounts, I would be looking for uniformity in colour and tail shape and the general health of the guppies when making my selection. That shop had a few tanks filled with nothing but guppies and they were separated according to the various Guppy strains that they had. I guess that by looking at the quality of the black Moscows in those tanks really gave credibility to the breeder and his trophies. I could see that he was also trying to produce some new strains as I saw fishes that were unique and appeared to be crossings of Moscow strains and other Platinum strains. Anyway, I do not have any pictures of the Moscow Blacks but here is another picture of the Black Lace that I have managed to get. I am sorry if the images are not of the highest quality as some of my other pictures as I sometimes prepare Photography tanks and I have a friend who does come down to my house to help me out taking nice pictures with his SLR camera once in a while. These pictures were taken using my snap and shot Canon Ixus camera and I didn’t really have the time at that point to prepare the photography tank. Anyway, I hope that you enjoyed this article and may you have your very own unique strain in the near future. All the best on your guppy breeding efforts. 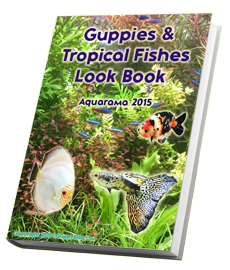 Get GuppyBlog's Guppies and Tropical Fishes Look Book worth $37! Fill in your email and receive the link to the ebook in your inbox. Thank you for signing up! Check your inbox for the ebook. RSS FeedNever miss a post again. Facebook FanpageLike us on Facebook! Youtube ChannelCheck out our Guppy Videos! What do you get when you cross Moscow and Blue Grass? Guppy Designer. Scientific enquirer. Water Shifter. Fish Stalker. Sociologist. Entrepreneur. Forex Trader. Pathfinder. 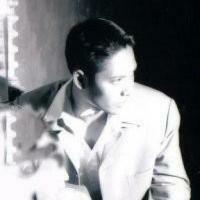 I have just revamped my site at http://t.co/2XwYEK5PIQ. Copyright © 2019 GuppyBlog.com. All Rights Reserved.